Let me tell you a small story which will help you to understand the power of compounding easily. There once was a king whose daughter was very ill. The king announced to his people that whoever cured his daughter can marry the princess and ask for another reward. One young man came and cured the princess with his family owned secret remedy. The king was so happy that he anxiously asked the young man what else he wanted besides marrying the princess as his 2nd wish. The young man pointed to a chess board with 64 squares on it and asked the king to put one grain of rice in the first cube and two in the second, four in the third, and eight in the fourth, and so on until the 64th square is filled up. The king laughed and confirmed his wish that he really wanted rice grains and not GOLD!! The King did not realize what he agreed to at that particular time. Eventually the king had to handover his entire kingdom to this clever person. That’s Power of Compounding!! There are many people in our country who underestimate power of compounding and benefit of starting investing early in life. A thousand mile journey starts with a small first step. A huge fortune is made by starting small. At first it may look small , but with patience and discipline in investing a sizable corpus can be built over long time. The secret of building huge corpus is to “Start” and “Keep doing it”. Nice story about Power of Compounding. I liked it !! Excellent story with moral! !i know i m very late to come to this website and read the articles….but as they say better late than never…Anyways v good story to start with.. 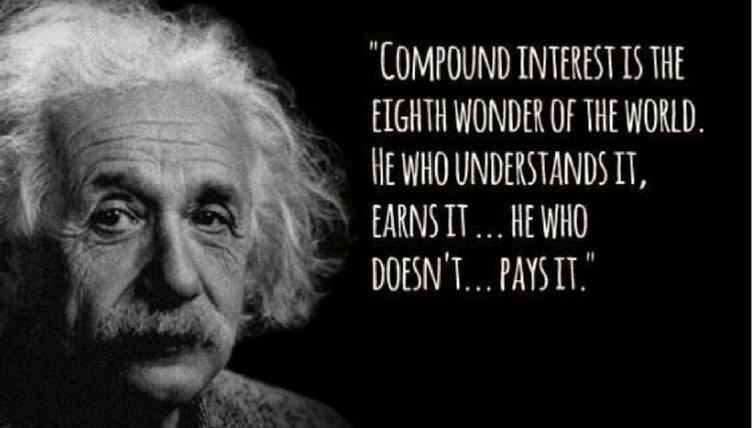 I adore the way you tell these stories which help to people to understand the complete concept of know the power of investment……..
exponential growth is nothing but "power of compouding" with the factor of e .
in compouding , we have rate of interest . In the example i gave the r = 100% (thing getting doubled) . Isn't this the 'power of exponential growth' rather than the power of compounding? Thanks for the comments , as per the studies , teaching something through a story works very well .. because that serves two purposes , User engagement because of surprise element (what will happen next? thing ) and also learning . Brilliant…couldnt have put it in more simpler terms! I find this way is a better way to educate people about investing!! !